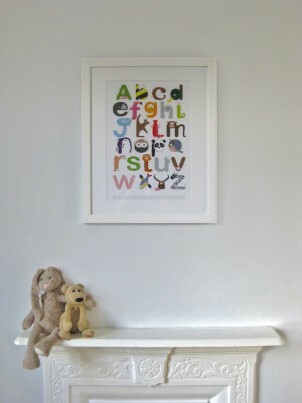 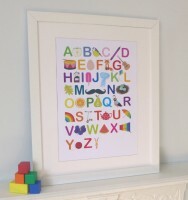 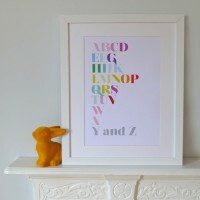 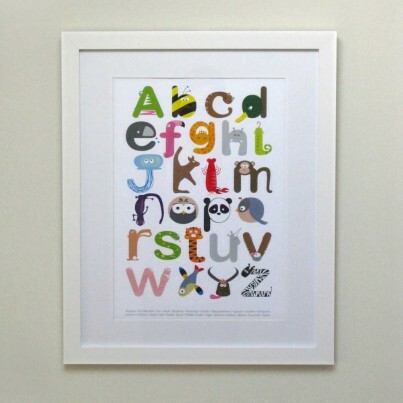 Bright and fun animal alphabet poster for the nursery or child's room. 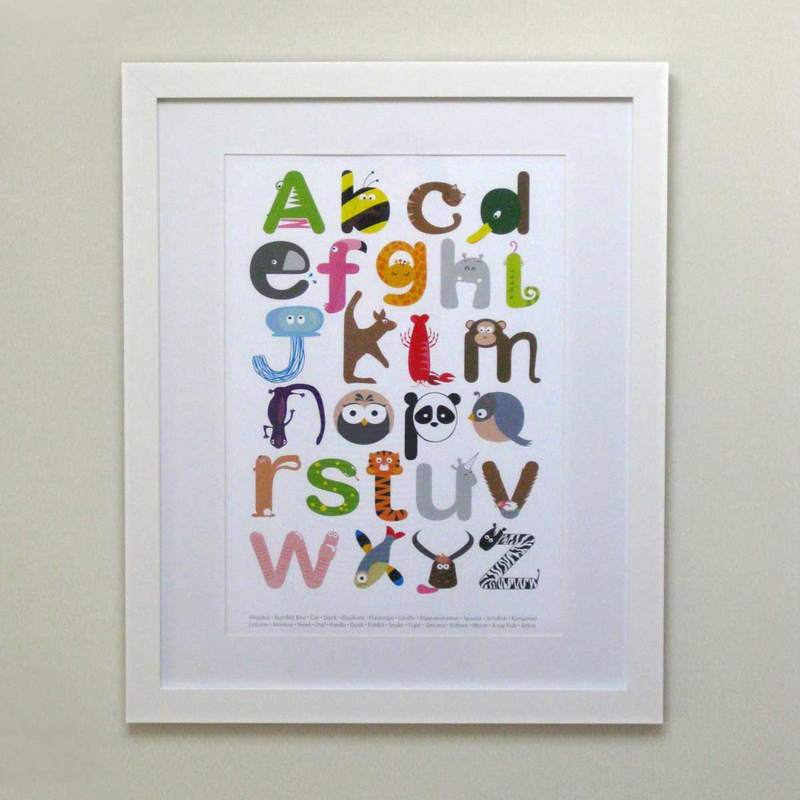 Each letter is illustrated by an animal beginning with that letter. 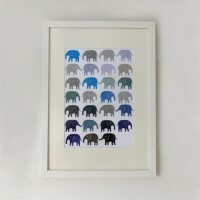 The name of all the animals are shown at the bottom of the print.